The next generation of LEDs, how LED lighting affects health, a new way to fight flu, treating schizophrenia with avatars and bringing 400-year-old frozen plants back to life. 01:04 - Radiation on the way to Mars? Just one return trip to Mars would eat up about two-thirds of an astronaut's lifetime "safe" dose of radiation, a new study has shown. Using the radiation detector mounted on the Curiosity rover that was sent to Mars aboard the Mars Science Laboratory (MSL) probe last year, Southwest research Institute scientist Cary Zeitlin, together with other NASA researchers, recorded how much cosmic and solar radiation the rover was exposed to as it made the 253 day, 560 million kilometre journey to its rendezvous with our red neighbour. The average daily dose of radiation an astronaut would receive, the data reveal, is about 2 millisieverts, equivalent to a barium meal medical investigation on a daily basis. 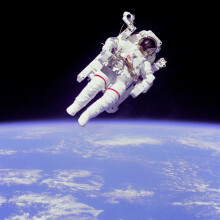 Over the entire journey, this level of exposure would add up to about 660 millisieverts for the round trip; and even if the venture was one way, it would still be 330 millisieverts, which is a substantial chunk of an astronaut's safe career exposure limit of 1 sievert, which nonetheless carries a 3% cancer risk. As the time point out in their paper in Science, "It is clear that the exposure from the cruise phases alone is a large fraction of (and in some cases greater than) currently accepted astronaut career limits. Time spent on Mars might add considerably to the total dose..."
A small trial of 16 patients at University College London by a team led by Julian Leff, who invented the techique, achieved in three participants complete cessation of the distracting auditory hallucinations - usually one or more voices making disparaging and distracting comments - that had been plaguing the patients for years. And even in those participants for whom the technique did not completely suppress their auditory hallucinations, almost all showed improvements in their symptoms and wellbeing more generally. 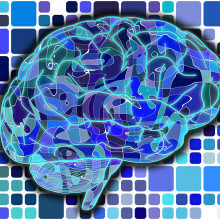 The approach involves first asking the patient to use a computer to design an "avatar" that best represents, for them, the face of the source of the most intrusive voice that they hear in their head. They also use computer software to generate a voice that most closely resembles the voice they experience. The therapist then sits in another room and can make the avatar "speak" to the patient in a convincing way, using lip-syncing software. Initially the avatar behaves in a critical and confrontational way, but the patients are urged to be confrontational in return. Slowly, over 6 one-hour sessions, the therapist alters the way the avatar engages with the patient, switching from being highly negative to being positive, collaborative and encouraging. The result is that the patient gains confidence and feels that the threat posed by the voice is reduced so they can legitimately "tell it where to go". In three of the 16 patients initially enrolled, the voices were arrested completely. Followed up at 3 months, the benefits largely remained. The researchers speculate that the approach works because, although schizophrenic patients generally lack insight into the authenticity of the voices they can hear, because they have created the avatar themselves, they are not at risk from it so they need not be fearful of trying out control strategies to make it cease. Most schizophrenics are too fearful of the voices they hear to risk disobeying them. But the avatar gives them the mental fortitude to do this and, perhaps, fools their own brain into suppressing the real voice alongside the one they can see on the screen. The team have now secured substantial grant funding to evaluate and refine the technique on a further 142 patients over the next 18 months. 08:10 - New microscope sees chemistry in action! Can we watch chemical reactions taking place with new atomic force microscope technology? For the first time, chemists have taken before-and-after photographs of molecules involved in a chemical reaction. The pictures show how individual carbon atoms - and the chemical bonds between them - rearranged on a metal surface. The researchers took their pictures with an atomic force microscope (AFM), which works rather like a record player. It has a probe with an incredibly sharp metal tip - and that has a single molecule of carbon monoxide stuck to it. As the oxygen atom moves across the surface, it jogs up and down in response to the electrons spread around the molecule being studied. That jiggling is detected by a laser bouncing off the top of the probe, and converted into an image. IBM scientists first used this technique in 2009, to image a very simple carbon molecule called pentacene. In the latest research, led by Felix Fischer at the University of California, Berkeley, the scientists have used the technique to understand how a chemical reaction works. Chemists usually have to infer these mechanisms through indirect techniques: infrared spectroscopy reveals the presence of chemical bonds that absorb certain frequencies of light, for example. Using AFM, you can see directly what has happened to the atoms, in pictures that look like textbook diagrams of carbon-based molecules. Fischer's team started with a zig-zag molecule made of three benzene rings joined together with more carbon atoms, and stuck it to a silver surface. They cooled it to 4K (-269°C) with liquid helium to take the 'before' snapshot - warmed it up to 90°C to run the reaction - then cooled it again to take the 'after' photo. The scientists are now using the technique to help build precisely-tailored forms of graphene - an atom-thin honeycomb of carbon atoms that has been the darling of materials science for the past decade, because of its incredible strength, flexibility, and electrical properties. It could also show how reactions happen on catalytic metal surfaces, they suggest. Plants entombed in glacial ice for more than 400 years have been successfully resuscitated by scientists in Canada. The bryophytes, forms of moss including liverworts, have been revealed in the Canadian Arctic by the melting of the Ellesmere Island "Teardrop Glacier," which is retreating at between 3 and 4 metres per year. Catherine La Farge, a researcher at the University of Alberta, noticed on a visit to the area that, as the ice receded, a matt of dark plant material was being revealed, some of which appeared, a short while later, to be green and showing signs of regrowth. She and her colleagues collected samples of the plants and placed them in culture media in the laboratory. 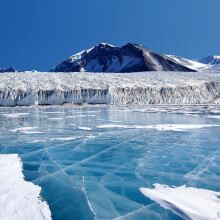 Other samples were used for carbon dating, which confirmed that the material was 400 and 600 years old and was probably buried in ice during the Little Ice Age in medieval times. Of 24 specimens put up for culture, 7 grew, regenerating viable plants. That these plants can remain viable for so long under freezing conditions reflects their ancient origins, over 470 million years ago. They are very simple organisms which, unlike their more recently evolved counterparts, lack a vessel system for transporting water in the plant. As such, they have little control over water movement through and to their tissues, so they have evolved to be highly tolerant of dessication, shutting down the activity of their cells when water is scarce. At the same time, all of their cells are capable of regenerating a new plant, behaving like a totipotent stem cell seen in animals. Optics develop to send 400Gbits per second down an optical fibre 12800km long and could reduce the price and increase the reliability. Whether you know it or not you are probably using fibre optics every day, they are the very thin glass fibres which carry most of the information around the internet and telephone systems. The information travels in the form of incredibly short pulses of infra red laser light, this is picked because the glass is very transparent in this colour, and can travel tens of kilometers and still be detected, it can then be amplified and continue travelling. The problem is that the further the pulses travel the more they tend to spread out due to imperfections in the glass's properties, this means that you have to make them longer, so you can get fewer though per second and so you can't transmit as much data, or you need to regenerate the signal every few hundred kilometres in a very expensive process. But Xiang Lui and collegues from Bell labs in New Jersey, have come up with a system that might help. A pulse of light will disperse and spread out along an optical fibre, but there is a pattern of light that the imperfections of the fibre will cause to have exactly the opposite effect, which is called it's phase conjugate. The group sent these two signals down the fibre optic one with a horizontal polarisations and one with a vertical one, and then recombined them at the end and reduced the distortions by a factor of nearly 30. 16:49 - How best to breathe up a mountain? QuickFire Science on the 60th anniversary of the first complete ascent of Mount Everest by Edmund Hillary and Tensing Norgay! How best to breathe up a mountain? This week marks the 60th anniversary of the first complete ascent of Mount Everest by Edmund Hillary and Tensing Norgay in 1953. But few people know that had it not been for the failure of one of two competing designs of breathing equipment - a completely different pair of climbers could have made it to the top first. Here's your Quickfire Science from Hannah Critchlow and Kate Lamble. 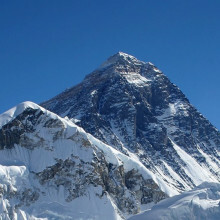 The summit of Mount Everest is 8848 meters or 29,029 feet high, that's higher than some aeroplanes fly. At this altitude there is only a third of the oxygen available at sea level. At higher altitudes, the same percentage of oxygen is found in the air, but the drop in overall atmospheric pressure means there is in effect, less air overall. Above 8000 meters is the so-called 'death zone' where the amount of oxygen is not sufficient to sustain human life, even at rest. Before the first ascent of Everest mountaineers typically used an open breathing system to deliver extra oxygen and make the climb easier. This system works by adding oxygen to the air the climber is breathing in, and their exhaled breath is released around them - like in scuba diving. However one British Scientist Tom Bourdillon, thought that the system was wasteful as we absorb less than a fifth of the oxygen we breathe in. In an open system this oxygen we breathe out is lost. In 1952 he developed a closed 'rebreathing' system which recycled the expelled climbers breath and passed it over soda lime to remove the carbon dioxide. More oxygen was then added to the air, multiplying the amount the climber could absorb before it was breathed in again. On the 1953 Everest expedition several groups of climbers made an attempt on the summit simultaneously. This included Tom Bourdillon and his climbing partner Charles Evans as well as Edmund Hillary and Tenzing Norgay. Using the new re-breathing system, Bourdillon and Evans ascended Everest at record rate - climbing 1,500ft in 90 minutes. The same stretch took Hillary and Tenzing more than two hours. Three days later Edmund Hillary and Tenzing Norgay reached the summit using their open breathing system and became household names. Since Bourdillon and Evans failed in their ascent, open systems have continued to be favoured for mountaineering but scientists are now using Bourdillon's design to develop medical devices which could help patients with obstructive lung diseases. Maria - We used a virus that's non-pathogenic it's called adeno-associated virus vector to actually carry the genetic information for broadly neutralising antibody that was isolated back in 2011 put it into a vector. And then use the expertise that we have to target specific cells of the airway to transform the cells of our nose into almost mini factories that could actually produce antibody. Chris - So basically, you take this antibody or at least the gene for the antibody that someone else has discovered what that gene is and you put that into this adeno-associated virus vector. This then goes into the nose, into the airways, and the cells that take up that virus get the gene for the antibody so they start making and secreting the antibody. Chris - That then defends that mucosal surface against any flu viruses that come in, does it? Maria - Exactly. So, what will happen is that that cell will continuously for its life produce antibodies that will then be secreted into the airway and so, you can just imagine that amount of antibody becoming more and more concentrated. So upon introduction, whether you are exposed to a sneeze or someone's cough with virus and you breathe that in, that will get deposited in your nose but the antibodies that are there will fight that virus and neutralise it before it has a chance to replicate in the nose. Chris - So, does it work? Maria - We have a mouse adapted H1N1 which again, H1N1, we've had cases of pandemic 1918, the Spanish Flu. So, what we did is used the vector expressing the antibody, gave it to the mice and then after a set period of time, anything from 3 days after the vaccine to 14 days, we challenged these mice with the actual H1N1 and then monitored for survival or any onset of symptoms. Animals that get H1N1 start losing weight quite rapidly and in most cases, have to be euthanized within 8 days. In contrast, when you see animals that were given this vector-based vaccine, the animals look completely healthy and normal. No weight loss. In fact, they actually gain weight and have no signs of behavioural distress. So then, we collaborated with researchers over in Canada, Dr. Kobinger and we did similar experiments with different strains of pandemic flu, and our mice were completely protected. Chris - What about animals that are regarded as a better model of human infection because traditionally, when we've looked at flu and flu was actually first in fact discovered in ferrets? Have you looked in them? Maria - Yes. So, wehen transitioned based on those data, we then transitioned and did some other studies using both H1N1 and H5N1. Both of which have been associated with pandemic and H5N1 is typically associated with bird flu. What we found in those particular experiments that were done both in Canada and in the US is that we saw complete protection of the ferrets which got us even more excited because it is a model that actually mimics the human airway response to influenza. Chris - So, we're at the stage where you make this vector, you put it into these airway cells, it clearly has the ability to protect animals of a range of different mammalian species from what would otherwise be lethal doses of flu. So, that's looking very encouraging, but do you know how this actually works because there's a lot more to the respiratory tract than just a few cells in the nose. So, why are these animals getting so comprehensively protected by what you're doing? Maria - So, we think that it's simply that we're creating a bio mask, an invisible bio mask where you would have such a high concentration of protective antibodies at the surface of the nose that upon inhalation, it basically just attaches to the virus and neutralise it, as simple as that. 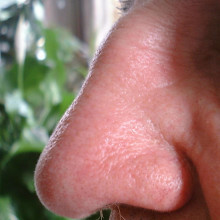 That's the theory that we are basically basing our work on and it seems to be falling in that category, that we're creating an invisible shield in the nasal cavity. Chris - And how long do you think it will express for? How long could a person who, if we did translate this to humans, how long could a person be protected by this for? Maria - So, we estimate that we are probably getting expression of the antibodies for a minimum of 6 months. And so, you would expect your patient to be protected from anything, from days following the delivery of this vector to at least 6 months. Chris - And is there any downside to this? Is it possible that the antibodies could, through sheer numbers or chronically being present, actually do damage to the host? Maria - Those are issues that we are really thinking about and in terms of the immunology of having way too much antibody in a site that otherwise would not, the beauty of this particular aspect of what we're doing is that the airway epithelium is not long-lived. And so, even though we have a fast onset of expression of the antibodies, they don't stay at the same level for a very long time. In fact, with time, anything from 3 months towards 6 months, we get a sort of progressive diminution of the expression of the antibody. And so far, in the models that we've tested including macaques, we haven't seen any side effects associated with having antibody present there in terms of somehow damaging the integrity of the epithelium or somehow making the particular species or model more susceptible to a particular infection. LEDs: energy efficient lighting could replace the wasteful incandescent bulbs and compact flourescent bulbs that take time to warm up. Now there's long been a search for energy efficient lighting which could replace the wasteful incandescent bulbs which governments around the world have started programmes to phase out. 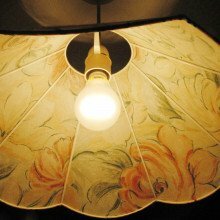 However, the current most commonly available energy efficient bulbs, Compact Fluorescents, take time after being switched on to warm up and are widely seen as producing a harsh blue colour of light. Dave - What actually is an LED? Colin - An LED is a solid which when you pass a tiny electric current through it, it emits brilliant light and I brought along a children's toy here and this is a pig. And with one finger, I could just press this lever on this pig and you get bright light emitted from this pig, and if I stop pressing, I've actually put enough energy into this that bright light continues to shine now. So, they're extremely energy efficient. Dave - So, far better than the conventional light bulb where you're just heating up a piece of wire and I guess wasting a lot of energy. Colin - Far better than conventional lighting. If I may add just a slight correction, a conventional light bulb is actually only 5% efficient, 95% comes out of heat, right? A compact fluorescent lamp, these so-called low energy light bulbs, they're about 20% efficient. So, they're 80% inefficient, even these so-called low energy light bulbs. Dave - So, what sort of efficiencies can you get out of LEDs? Colin - LEDs at the moment, you can buy now a 30% efficient, so there are already something like 6 times efficient as an old fashioned light bulb. But in the laboratory, we have them at 60% efficient and they'll be coming on to the market in the next few years. Dave - So, that really is an improvement. Colin - They'll be the most efficient source of lighting available, yes. Dave - But one problem I guess with LEDs is if you want to actually go and buy them they're quite expensive. What's the problem with that and why are they so expensive? Colin - So, they're really expensive because in order to get a sufficient light out, you have to have about 8 or 10 LEDs in a sort of light bulb shape. So, this is a Philips bulb which I got in John Lewis and it costs 13 pounds and it's a 48-watt equivalent bulb. Not many people will spend 13 pounds even though over its lifetime, you'll save lots of money in electricity, so you'll save over all. But the initial outlay is too expensive for people. These are expensive because they're something like 8 or 10 LEDs. Each LED costs about 1 or 2 pounds. This is because they're grown on sapphire or silicon carbide wafers, and a wafer is - think of an ice cream wafer or a cheese wafer. So, a sapphire wafer, you actually grow a big piece of sapphire artifically, you slice it up into wafers. Sapphire is really expensive and silicon carbide is expensive. Silicon itself is really cheap. And so, you save a lot of money by growing on silicon. Dave - What you're actually growing on the silicon or the silicon carbide? Colin - We're depositing a material called gallium nitride which does not exist in nature. So, it's a man-made material and then the material which actually emits the light is something called indium gallium nitride. So, it's three different elements put together - indium, gallium and nitrogen and those elements are in very thin layers called quantum wells and it's those layers which emit the brilliant light. Dave - How do you get the colour of the LED? Are they naturally white? Colin - A really good question. So, the light is emitted by the indium gallium nitride and if we have 15% indium in this indium gallium nitride, you get blue light. If you have 25% indium, you get green light. If you have 80% of indium, you get red light. It's like cookery in a sense. You just change the composition, change the mixture and you get different lights. And in fact, I've got here some LEDs I brought along and if you push these buttons, you'll see all sorts of different colours. And then to get white light, we take blue light and this is another demonstration I brought along. This is in fact, one of the first gallium nitride on silicon LEDs we made, it's not incredibly efficient in this demo. We've improved efficiency but it's still pretty bright. And so, this is blue light that you take. Dave - So, that's quite a deep blue light. Colin - It is, that's right and if you place what's called a phosphor on top, that converts the blue light to white light and a phosphor is a material where you put in high energy photons which are blue and you get out low energy photons which in this case are yellow. And the phosphor is very thin so the blue light shines through this yellow phosphor to give white light. Dave - Is this an efficient process converting blue light into the other colours. Colin - Well, that's a really good question because you lose energy in the phosphor and also, in going from a high energy photon to a low energy photon, you use energy. So, the next generation after this, you'll get rid of phosphor altogether and you'll make white light by having red, green and blue LEDs individual ones. And you'll combine them together to make white light and you might have a little control like the control on a television set which actually can control the colour rendering of this white light. So, in the morning when you wake up, you might have bluish white light, you might have a romantic dinner with reddish white light. But you'd be able to control the colour of the light you get. Dave - This might sound like a stupid question, but why aren't you doing that already? Colin - We are not doing that already because for reasons we don't understand, this is where the research comes in, the efficiency of green LEDs is less than blue or red. We don't know why, so that's a science problem to solve, but if you can solve that problem then we'll have very efficient white lighting from red, green and blue. Dave - So at the moment when you buy an LED, it's based on a sapphire wafer which is an expensive thing, and you're replacing that with silicon, why isn't that easy? Colin - All the commercial LEDs you can buy at the moment. They're grown on sapphire wafers or silicon carbide wafers, and they're both very expensive. So, we had the idea of growing on silicon wafers and that's much more difficult to do scientifically because when you heat up silicon, it expands at a very different rate from when you heat up gallium nitride. And we grow these LEDs at 1,000 degrees centigrade. It's very, very hot. So, when you cool down, the LEDs just crack because of this. And so, what we do, we deliberately had to introduce layers which introduce compression into the system and it matches the tension you'll get when it cools, so it doesn't crack. And the other thing is you get lots of defects when you grow on silicon, about 10 times more than when you grow on sapphire. And so, we introduce special clever techniques to actually minimise and reduce the defect density. Dave - So, how much is growing it on silicon going to reduce the price of an LED? Colin - Well, silicon is really cheap. So, a 6-inch diameter silicon wafer costs about 20 pounds. A 6-inch diameter sapphire wafer will cost about 500 pounds. So, you know, it's much more than 10 times cheaper and then if you use silicon, you can go through a 6-inch processing line and all the fabrication, high yield and everything we associate with sillicon chips, you can get that on these LEDs. Dominic - To see Plessey's facilities for myself, I'm heading to Plymouth to meet some of the people behind the venture. Hi, Dominic Ford from the Naked Scientists. I'm here to see Barry Dennington. Receptionist - Hi, that's right Dominic. Come with me. Dominic - So, here at Plessey, you're bringing Colin Humphrey's technology into industry. Barry - That's correct. So, Colin's technology is the growth of gallium nitride on silicon and we are taking that technology and we're scaling up to be able to build more than one wafer in a single reactor run, going into high volume production, so we're leveraging the wafer size, the improved yield to get very cost competitive products out to the world market. Dominic - So, I think this is the first factory making LEDs on silicon in the UK. I guess we think a lot about electronic products being made in the far east. Can the UK's manufacturing industry compete with that? Barry - Absolutely. The first thing is that we have a unique technology which is not available in Asia right now. So, that's a breakthrough that's disruptive for the LED market. Furthermore, it's the machinery that creates the volume and we have the machinery here and the capacity to increase that machinery so that we can increase the volume. Dominic - So, can I see some of the products you're making here? Barry - Yes, of course. We have a demonstration table over here which shows you some of the applications that we have. Dominic - So, you've got a wafer here, a couple of centimetres across and you got this - what looks like a yellow plastic dome over the top. Is it that dome which is converting the white light to blue light? Barry - So, the dome is a plastic dome which is impregnated with phosphor and it's the phosphor impregnated in the plastic dome that converts the blue light to the white light. The phosphor dome, sits over a small printed circuit board and on that printer circuit board, there are 8 LEDs mounted. Elsewhere in the bulb, we have a lot of attention paid to heat management. So, there's a rather large heat sink with lots of fins to increase the surface area and finally, we have the driver circuitry. The LED is a 3.3-volt component. We take 240 volts at 50 hertz in and the driver is a voltage converter to make sure that we're getting the right amount of current and the right voltage to the LED to allow it to illuminate. Dominic - So, we've got these fins here to dissipate the heat. How efficient is this light bulb? Barry - This is a 60-watt equivalent light bulb. That doesn't mean to say 60 watts go in to it. In fact, only 12 watts go in to the light bulb. So, around 8 watts of heat is dissipated from the light bulb. Dominic - So, this bulb is producing an equivalent amount in light to what an inefficient, 60 watt incandescent bulb would produce. Barry - That's right. So, this is producing an equivalent amount of light to a 60-watt incandescent bulb with 1/5 of the energy going in. Dominic - So, can we go and take a look at the production line where you're producing these bulbs? Barry - Of course. The people who work in the MFA, this is the manufacturing line we make the magic LEDs in, they're the biggest source of contamination that there is. And so, in order to keep contaminants to a minimum, we have to make sure that all of our external clothes are covered by these antistatic coveralls. Dominic - So, what is the problem that dust can cause? Barry - So, the dust can cause open circuits or short circuits on the LED and simply cause LEDs not to function. So, there is a specific order to gowning up. The first is the face mask. Dominic - Okay, so I will pop this over my head and I've got a sort of veil in front of my face now. Barry - Yes, perfect. Next then is the overall. Dominic - Quite some suit this isn't it? Barry - It is, yes. It's a little bit like a clean room onsie. So, the suit itself is impregnated with very fine wires and that stops static. Dominic - I'm certainly feeling quite well-dressed now. Barry - And in a moment, you'll be feeling very warm as well. 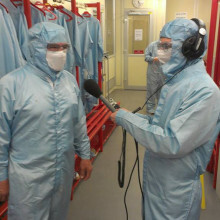 Dominic - It's quite incredible lengths you go to to keep the cleanroom clean. Barry - The cleaner the cleanroom, the higher the yield on the product and the more cost competitive we can be. We now have to enter the cleanroom through our air shower. The air shower is there just to make sure that any loose debris of particulates that might be on the suit are blown off before you get into the cleanroom. We do a little pirouette as we go through and now, we can enter the cleanroom. Dominic - So, I guess my picture of a cleanroom is they're white and clinical. It really is very white and clinical in here, isn't it? Barry - Very much so, many times cleaner than any surgical operating theatre. Dominic - So here, we've got a glass box with in fact some gloves coming out of it. What are we looking at here, Barry? Barry - This is the chamber inside which the gallium nitride is grown on the silicon. Dominic - So, this is the process where you're performing the technique that was pioneered in Cambridge. Barry - Yes and we've industrialised it and commercialised it. Dominic - So, I can see you've got what looks like a laser in there. What's happening in this chamber? Barry - The system delivers all of the gases and chemicals that are required to grow the gallium nitride. And in fact, the process uses vast quantities of hydrogen and ammonia gas as well as metal organic sources to bring the gallium, the indium and the aluminium into the reaction at the appropriate times. Dominic - I get the impression you can't say too much about exactly what that recipie is though. Barry - I could, but I have to kill you afterwards. Dominic - Probably best not then. Barry - Probably best not. This is the machine that we use to print the patterns onto the wafer. Dominic - So, this is basically printing the electronic circuits onto those silicon wafers. Barry - You can think of it as a very large camera and it images the pattern which is contained on a quartz master, images it onto the surface of the wafer and enables us to make the patterns on the wafer as small as about 0.6 microns in size. But it's very important to put those patterns in the right place. So, the placement accuracy of the patterns is even finer, to within about 1/10 of a micron. So, once the pattern is printed onto the wafer, we then go through an etch process to selectively remove some of the GaN layers in order that we can make contact to the anode and contact to the cathodes. Dominic - So that you can put the wires into the final product. Barry - Yes. So, we have a number of etch technologies available to us. This is our GaN etcher. This contains all the chemicals and the gases that you need to selectively etch the Gallium Nitride itself. Once the gallium nitride is etched, we then need to make electrical contact to the anode and to the cathode, and we use various metal schemes in order to make those contacts. We have a number of different technologies for depositing those metals. We have a technology we call evaporation and that's literally where the metal is heated up with an ion beam and the metal evaporates into a cloud and that cloud then condenses onto the surface of the wafer. It's little bit like seeing snow form, small crystals of frozen water come together to make a film of snow, very similar to the way we deposit metals onto the GaN on silicon wafers. So, in this bay, this is our evaporator tool. The evaporator we use to deposit metals onto the surface of the wafer, mostly precious metals such as gold and silver. Dominic - So, we've got what looks like a very strong metal door in front of us. I guess I find it incredible given what lengths you're taking to keep everything clean in controlled conditions, how many LEDs you're managing to get through this plant. How often, for example, would you be opening this door and putting new wafers in? Barry - So, in this particular tool, a run would take in the region of 2 hours and 9 wafers would be deposited in a single run. So, 9 wafers with 15,000 LEDs per wafer is 135,000 LEDs every 2 hours through this particular tool. Dominic - So, in terms of going to a supermarket and buying a light bulb, when do you think I might see a Plessey LED based light bulb in the supermarket? Barry - I think possibly first quarter next year and of course, you can buy LED lamps in the supermarket today, but they are very expensive. This technology will enable the price breakthrough to be achieved, reach their strategic inflection point where people will naturally choose an LED over and above any other kind of lamp. 43:15 - Lighting to wake you up? Lighting to wake you up? One criticism of the current generation of energy saving lightbulbs is their colour, but it's not just that people find blue light a bit harsh, scientists are also discovering that blue light can affect your sleep cycle, especially if you're reading before you go to sleep. Chris spoke to Russell Foster, Professor of circadian Neuroscience at Oxford University to find out how lighting might be affecting our lives. Russell - Well, the eye of course detects light in two very different ways. The eye is used to construct an image of our world and of course, that's vision and we've understood that for centuries. But of course, there's another function of the eye and that's to detect overall levels of brightness in the environment and you use this to regulate physiology ss diverse as the body clock, levels of alertness. And what's turned out to be really remarkable is that there are different sorts of receptors - the classical receptors, the rods and the cones are building the image of the world and then there's another light sensor called a photosensitive retinal ganglion cell which is measuring brightness and firing information directly into those areas of the brain which regulate these non-visual responses to light. Chris - So, we've evolved as humans to wake up in the morning and go to bed when it gets dark. 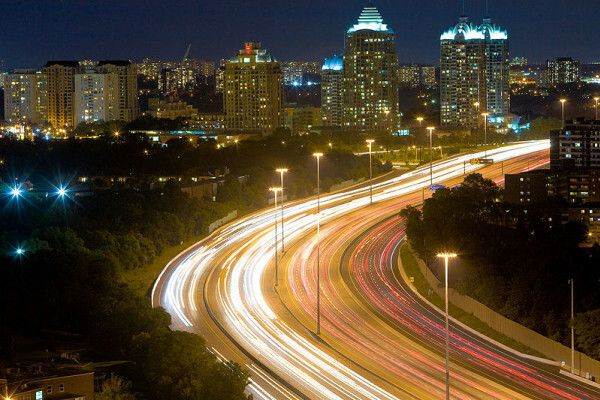 So, what influence and what impacts are there on our health of having artificial light? Russell - Well, when Edison invented the light bulb and it became widely used in the 20th century, it allowed us to essentially invade the night. And it's been estimated that even people who aren't doing things like shift work are probably sleeping 1 ½ to 2 hours less every night because of the use of artificial light. And overall, the levels of sleep we're getting as a society and as individuals is vanishingly small compared to a pre-industrial age. So, what artificial light has done is compress a really rather expanded sleep period into perhaps as little as 6 hours, 6 ½ hours for most people. Chris - What about the type of light though because Edison's light bulb put out a certain range of wavelengths that were effectively a nice comfortable daylight resembling glow? We're now making light bulbs that actually, I'm just looking at some, that are powered by LEDs that produce quite a harsh blue colour. So, does the type of light potentially have an impact? Russell - Yes, it does. These photosensitive ganglion cells are pure brightness detectors. And interestingly enough, they're most sensitive to the blue wavelengths of light. So, these blue enriched LEDs will very much stimulate those cells that we use to regulate our body clocks, our levels of alertness, and indeed, our pupil size. Chris - And of course, one of the places where we're seeing a lot of these LEDs being used is in computer screens which if you believe what Facebook and Twitter tell us, the last thing, something like half of young people in Britain and the probably the rest of the world do before they go to bed is to check what's on their Facebook page or their Twitter account. So, we must be getting quite high exposure to this very blue-dominated light late at night. Russell - Yes, it's absolutely fascinating because of course, there is this biological predisposition for teenagers to go to bed late and get up late. But it's enormously exaggerated by the sorts of things you're talking about. Checking one's Facebook and going on and exposing one's self to these screens. Now, it's not particularly bright and the earliest screens probably weren't bright enough to shift the body clock which needs quite a bit of light. But they certainly would've been bright enough to raise levels of alertness and therefore, delay night time sleep. So, these screens are sort of exaggerating this biological predisposition for teenagers to go to bed late and get up late. Chris - What about in the workplace or just in the home, more generally, as we adopt bluer dominated lighting? Is that always a bad thing? Is it not good in the morning to have that because it might make me feel a bit perkier? Russell - I think that's exactly the right thing and it's the intelligent use of these light sources that could be incredibly powerful. So, what you need is bright morning light exposure to set the body clock to local time and that will be terrific. So, exposure in the morning to these bright light sources will be very good and in addition, they will increase levels of alertness in the workplace. The downside would be having bright light exposure at the other end of the day when you're trying to get to sleep and one of the most extraordinary things is, I've seen some of these devices being incorporated into bathroom mirrors. Now, the last thing many of us do of course is clean our teeth in front of a bright mirror before we go to bed and of course, that hugely increases our levels of alertness and delays our sleep. So, it's not just in sort of computer screen type devices, but it's in many applications where inappropriate light exposure is not necessarily going to be good for us. Chris - Do you think then that now, we can make things like LEDs that can put out different wavelengths, we could have timed LEDs that will be very blue dominated in the morning to get us going. Then as the day goes on, they can be tuned so that people do feel more relaxed as the day goes on. And then as you go to bed at night, you're seeing much more red dominated light and this doesn't have this enlivening effect when you're trying to go to sleep. Russell - I think that's a very exciting application. I mean, the intelligent use of these devices could be incredibly powerful in fine-tuning both our visual biology, but also, the biology of the sleep-wake cycle. Chris - Is there actually any evidence that it is having ill-effects though because everything you said so far, I don't disagree with, but it's all based on - well, this is going to make people feel more awake or it's going to put us out of step with what our body clock should be doing, but is there any evidence that's actually bad? Russell - We have a few studies that have emerged which have looked at the impact of iPads and devices like that on supressing melatonin. 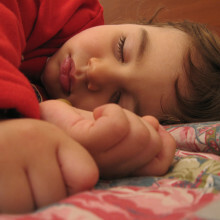 And of course, melatonin suppression is often used as a surrogate measure for the impact of light on the body clock. And these devices were shown to supress melatonin and so, yes, we do have some real biology that the non-image forming photoreceptor systems, the non-visual systems are being affected by these devices. 49:49 - How do street lights affect nature? 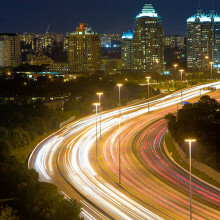 We find out if street lights are affecting nature. Plus we ask, what is the tallest mountain possible? Previous Do street lights affect birds and plants?